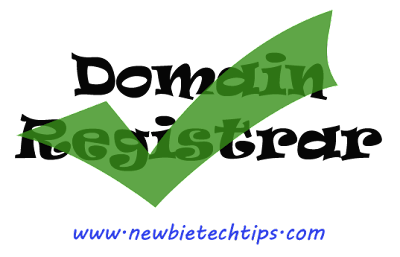 How to choose the perfect domain registrar: A beginner's Guide | NewbieTechTips! Unlike baby's name, you have to purchase a domain name from a domain registrar. It's important to exercise caution in choosing the right domain registrar so that you wont loose the domain in future. If you are serious about your blog or website, a good domain is a very important part. Once the domain gets popular over the internet, it hurts the reputation of website if you ever have to change it. Domain is more important than the webhosting, if your webhost has cheated you, it's easy to change the webhost, but if your domain registrar cheats you and steals the domain, its very difficult to build the same popularity again. So let's see what to look for before choosing your domain registrar. Always prefer a ICANN accredited registrar for gTLD (.com, .net, .org etc.) or the ccTLD registry accredited registrar for purchasing the domain. By this even if you land up in some dispute, you can file a complaint to ICANN and get back your domain legally. ICANN has provided some sets of guidelines and rules in the interest of consumers, for the domain registrars to follow. Always look at the renewal policy and prices for domain. Some website/domain sellers keep a low price at registration but charge a huge fees for renewals. Always check for the domain transfer policy. If in future, you ever want to switch to some other registrar, this will be required. I have seen some domain sellers who keep a no transfer policy or charge a huge fees for it. Look for the hidden cost. For ex - cost for email forwarding, DNS management, domain lock and domain theft protection. With most of the reputed registrars these services comes free of cost along with domain. Check for the essential services with the domain like domain locking and domain theft protection. Always check the WHOIS record after registering the domain, to crosscheck the domain ownership details and the domain registration period. WHOIS record reflects the Name of the domain owner, his/her address and the registration and expiry date of the domain. If you find any discrepancy in this you should immediately contact the support of your domain registrar. If he solves the issue, then OK otherwise move the matter to ICANN. Why I am mentioning this is because in one incidence one of my friend registered a domain for 5 years but his registrar registered the domain with the registry only for 1 year and he lost that domain. Check the background of the website, whether he has the infra and resources to keep the company going on. I have seen the domain registration websites coming and going within a year, which causes a huge distress to the customers. Last but not the least, also check for the discounts and offers the registrar offers. Finally we all want to save some money in the end of the day.